The 4e of The Science and Technology of Rubber provides a broad survey of elastomers with special emphasis on materials with a rubber-like elasticity. 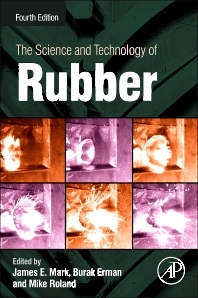 As in previous editions, the emphasis remains on a unified treatment of the material, exploring chemical aspects such as elastomer synthesis and curing, through recent theoretical developments and characterization of equilibrium and dynamic properties, to the final applications of rubber, including tire engineering and manufacturing. Updated material stresses the continuous relationship between ongoing research in synthesis, physics, structure and mechanics of rubber technology and industrial applications. Special attention is paid to recent advances in rubber-like elasticity theory and new processing techniques for elastomers. Exciting new developments in green tire manufacturing and tire recycling are covered. The Elements of Polymer Science and Engineering, Third Edition, is a textbook for one- or two-semester introductory courses in polymer science and engineering taught primarily to senior undergraduate and first-year graduate students in a variety of disciplines, but primarily chemical engineering and materials science. Since the publication of the second edition in 1999, the field of polymers has advanced considerably. A key feature of this new edition is the inclusion of new concepts such as polymer nanocomposites and metallocene catalysts in existing chapters as well as new chapters covering selected contemporary topics such as behavior of natural polymers, polymer dynamics, and diffusion in polymers. This book has been completely reorganized to become more aligned with how instructors currently teach the course. There are now several enhancements to the book’s pedagogy, including the addition of numerous worked examples and new figures to better illustrate key concepts and the addition of a large number of end-of-chapter exercises, many of which are based on recently published research and relevant industrial data. 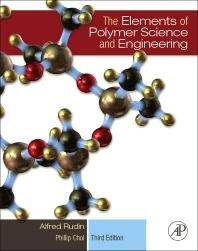 This third edition will appeal to advanced undergraduate and graduate students in the physics, chemistry, and chemical engineering departments who are taking courses related to polymer science and engineering, as well as engineers new to the field of polymers. 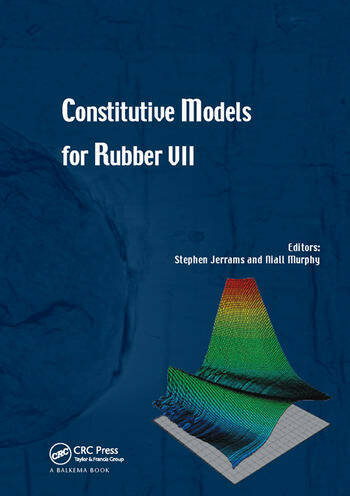 Recent developments in the modelling of rubber are collated in this volume, including not only stress-strain behaviour and the use of the large strain finite element method for simulation, but also fatigue, fracture, filler reinforcement, dynamic properties and the effects of ageing. Due to their unique properties, rubber materials are widely used for engineering applications such as tires, engine mounts, seals, shock absorbers, etc. The design of these highly technical parts frequently necessitates a great control of their response and high guarantees of reliability. These objectives are severe because they cover multiple physical phenomena. In addition, the complexity of these parts requires the use of powerful simulation methods such as the finite element method. In this context, the formulation of relevant constitutive equations and the development of relevant algorithms are essential prerequisites for the prediction of the mechanical response of elastomeric parts. 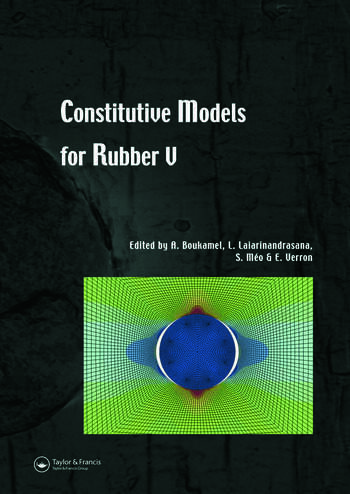 The latest developments concerning constitutive modelling of rubber materials, and more generally the mechanics of elastomers, are collected in the present volume, including: constitutive modelling, physical mechanisms, fatigue and fracture, structural and industrial applications. Constitutive Models for Rubber V will be of interest to undergraduates, postgraduates and researchers in mechanical engineering and rubber mechanics. All aspects of our lives, industry, health, travel and leisure, are utterly reliant on rubber materials, yet typically this notion rarely occurs to us. Increasingly, greater demands are made on elastomeric compounds and we seek elevated performance in terms of improved physical and chemical properties. In particular, we have come to expect rubber components (tyres, vibration isolators, seals etc) to exhibit exceptional wear and fatigue resistance, often at elevated temperatures. Unsurprisingly then, the emphasis in characterising isochoric materials has shifted significantly away from understanding and modelling hyperelastic material behaviour, to a position where we can confi dently design and manufacture rubber components having the functionality and resilience to meet the dynamic loading and harsh environmental conditions that are prevalent today. In consequence, state-of-the-art technology in terms of dynamic response and fatigue resistance are strongly represented here along with numerous insights into advanced elastomers used in novel applications. This development is not at the expense of research devoted to current test procedures and the constitutive equations and algorithms that underpin finite element methods. 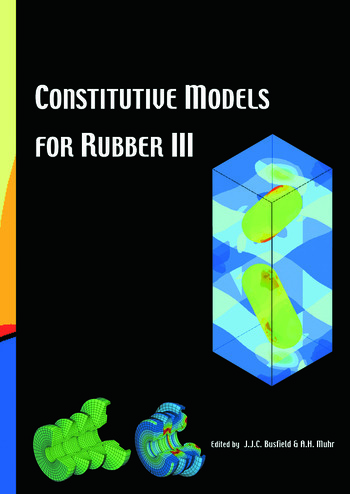 As a result, Constitutive Models for Rubber VII is not only essential reading for undergraduates, postgraduates, academics and researchers working in the discipline, but also for all those designers and engineers involved in the improvement of machines and devices by introducing new and novel elastomers possessing elevated properties.